The most surprising aspect of the 'The Hunger Games' trilogy was the romance. It was a different type of romance then in the 'Twilight' series. While reading the first book, not only could i not put the book down because I was smitten with Edward Cullen but the details of their relationship made me feel as if I needed a cold shower afterwards. With 'The Hunger Games' trilogy, it was a little different due to the circumstances where the fictional characters found themselves. Still, all I could think about was how I wish I had someone like Peeta in my life. The trilogy brings out an important lesson about love that most people sometimes forget, the lesson of experience and circumstances. Sometimes one person while in a relationship will go through something that changes their life forever. When this happens, it is no one's fault it's just life. When life happens to one person in the relationship as it did in the case of Katniss, there is no going back. Once Katniss volunteered to participate in the Games instead of her sister the relationship that might have been with Gale was over. Her experience in 74th Annual Hunger Games changed her forever and put her through something Gale could never understand. The love triangle reminded me of the love triangle among Scarlett O'Hara, Ashley Wilkes, and Rhett Butler in the book and movie 'Gone with the Wind' by Margaret Mitchell. Katniss Everdeen and Scarlett O'Hara were both strong, fictional, female characters who were bent on not only not starving but more importantly, surviving. They both had fiery personalities. Yet, both clung to dreamers Gale and Ashley. The strong men who seemed to always be there for them, the men who respected them for their fire, they didn't notice. Fortunately, Katniss realized in enough time how much she really did love Peeta. In 'Sophisticated Love Lesson #3: Opposites Attract, Sort Of', I talked about meeting your compliment not your opposite. At the end of the book, Katniss realizes that Gale and her have too much alike in their temperament and not in their heart. In 'Mockingjay' Gale said to Peeta, "I should have volunteered to take your place in the first Games, Protected her then" (Collins, 349). At that moment, Gale verbalized the difference between him and Peeta and what Katniss and Peeta had in common. Peeta throughout the trilogy was constantly trying to save Katniss. He put his life on the line to save her as Katniss did with her sister. 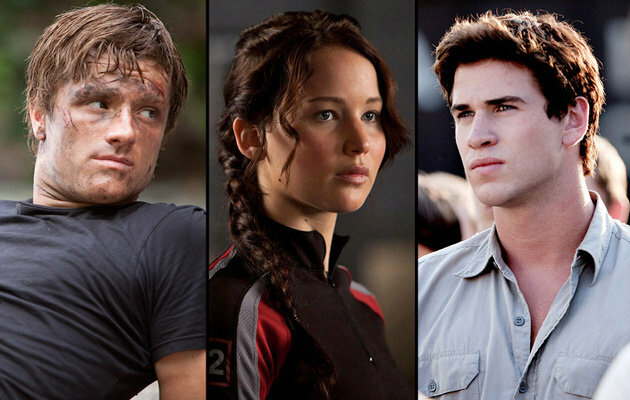 Both Peeta and Katniss were willing to put their life on the line to save the person they loved the most. Katniss put her life on the line for her sister and then Peeta. "That what I need to survive is not Gale’s fire, kindled with rage and hatred. I have plenty of fire myself. What I need is the dandelion in the spring. The bright yellow that means rebirth instead of destruction. The promise that life can go on, no matter how bad our losses. That it can be good again. And only Peeta can give me that" (Collins, 388). Katniss Everdeen in 'Mockingjay"
In the end, the romance and love in 'The Hunger Games' represents the idea that you don't knowingly fall in love with someone. Love is knowing you can survive life but realizing that there is someone special who you can't live without ;D!